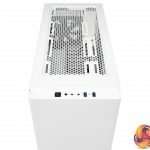 Corsair has launched the Carbide 275R which is a mid-tower ATX case that promises good airflow as well as support for a 280mm or 360mm radiator in the front and a 240mm cooler in the roof. 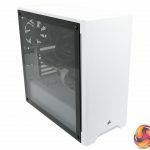 In addition you get a tempered glass panel that shows off the interior of your new PC, and as the main compartment is open and unobstructed you get a good, clear view of your components. 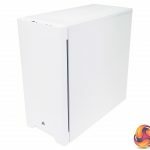 On paper the Carbide 275R sounds superb, however this is a relatively expensive case that is competing in a white hot sector of the PC case market. 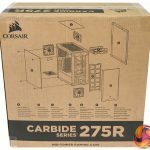 We have to hope that Corsair has brought its ‘A game’ and isn’t merely relying on its reputation to rack up the sales and shift the boxes from the warehouse. Watch the video via our VIMEO Channel (below) or over on YouTube at 2160p HERE. 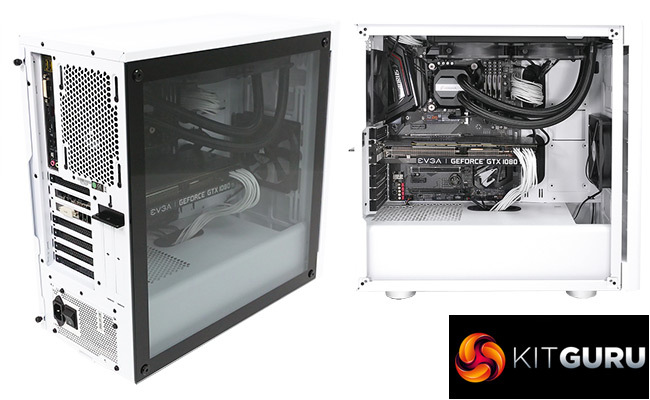 Full Window Side Panel: Edge-to-Edge full window side panel shows off your system in style. Clean and Minimalist Design: Clean lines, curved edges with soft accent lighting. 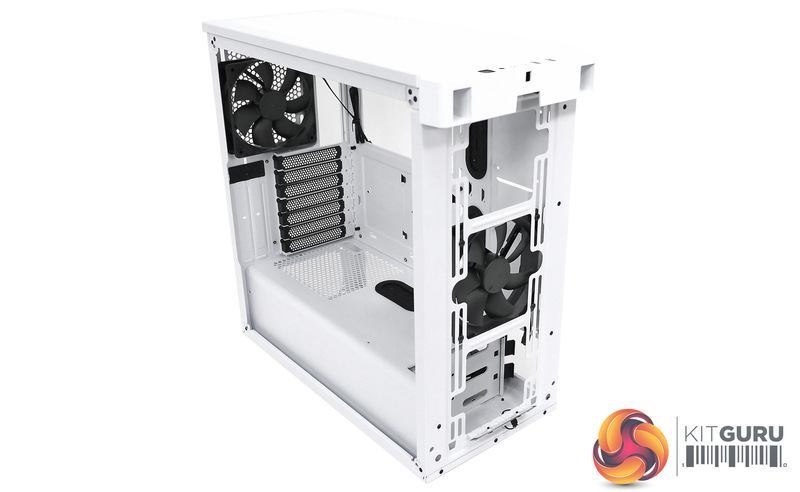 Versatile Cooling Options: Room for up to 360mm radiator in front, 240mm radiator at top and 120mm radiator in the rear. Expansive Storage Space: Rugged-construction steel drive tray provides ample of room for additional drives. 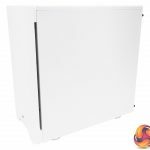 Direct Airflow Path Cooling: Cool air is directed to the hottest components, without any interference from drive cages. 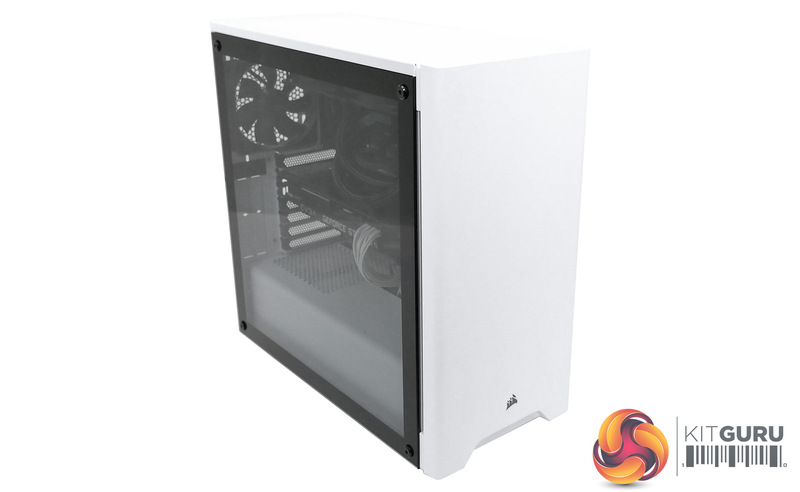 As you will see in our video the initial impression of Corsair Carbide 275R is a sleek, smooth PC case with a tempered glass panel that closes off the main compartment. The bag containing the user guide also provides a 4mm Allen key which is required to remove the four screws that secure the glass. These screws are slightly stiff to remove and do not fit especially well, and above all they add a level of complication that is hard to explain. Why, for goodness sake, could they not have simply used thumbscrews? Once you pass that minor obstacle, remove the other side panel and pull off the front panel you quickly realise the core chassis looks amazingly familiar. 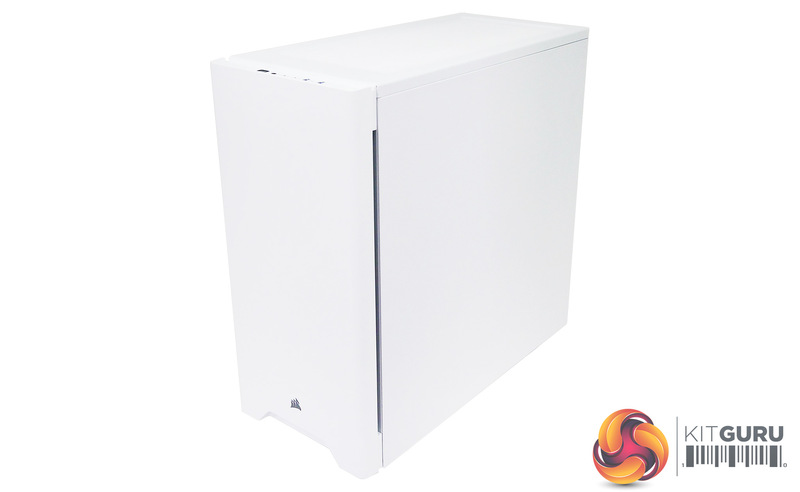 It has a fixed power supply cover with a small drive cage positioned in front of the power supply and two SSD caddies on the rear of the motherboard tray. 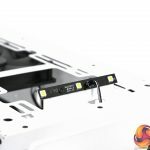 The I/O panel is on the top of the case and provides two USB 3.0 ports along with headset jacks and Power/Reset buttons. 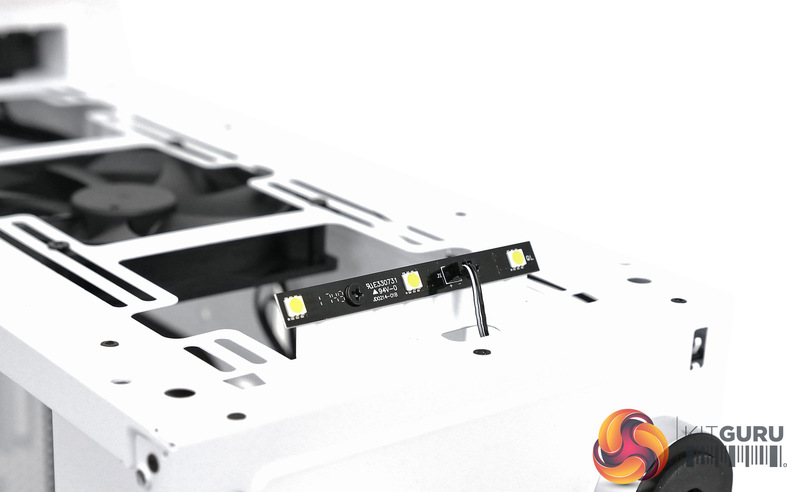 There are two basic Corsair SP120 fans installed in the case and underneath the front panel a short strip of white LEDs provides a gentle under-glow. It is a simple fixed light that cannot be controlled or varied, which will either please you with its simplicity or annoy you with its lack of functionality. Expansion slots: 7 + 2 vertical. 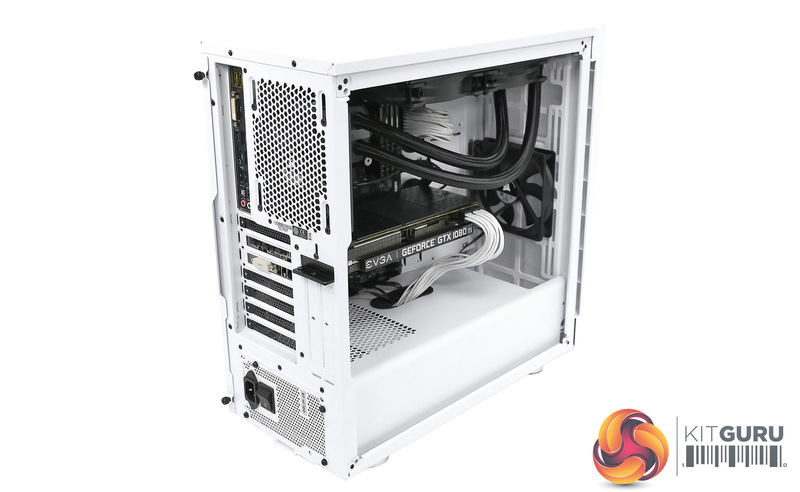 Included fans: 1x 120mm front intake, 1x 120mm rear exhaust Corsair SP120. 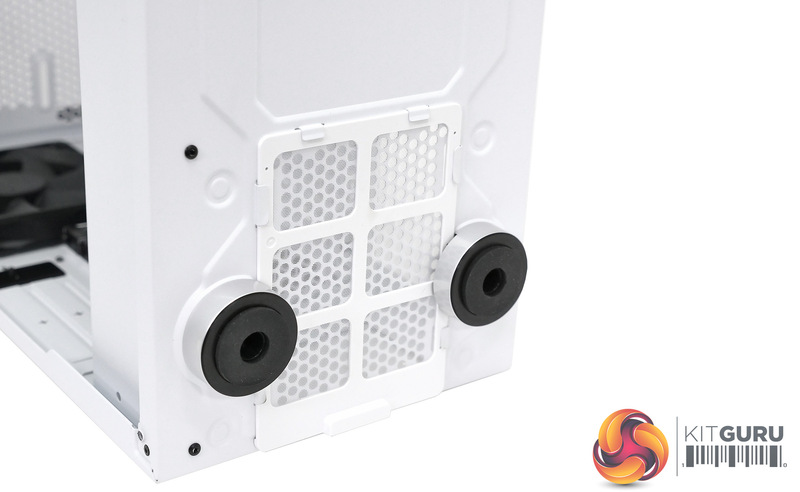 Fan mounts: 3x 120mm/2x 140mm front, 2x 120mm roof, 1x 120mm rear. Internal drive bays: 2x 3.5-inch/2.5-inch, 2x 2.5-inch. 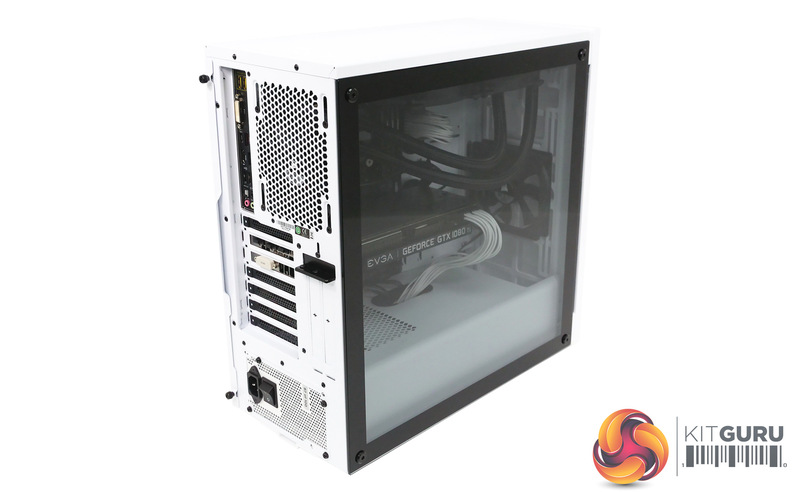 Dimensions: 455mm H x 460mm D x 225mm W.
Building our test PC was straightforward, although it took a certain amount of effort to pack away the cables from the Corsair RM 1000i SE power supply as there is very little room in front of the power supply. 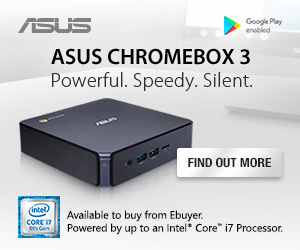 For that matter, it requires some precise sliding and swivelling to install the power supply in the first place. This is one of those situations where a basic, cheap PSU with fixed cables will be considerably less hassle than a modular power supply. 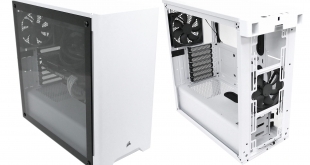 The other fun and games was the need to use low profile Corsair Vengeance LPX memory in order that we could install the H100i v2 cooler in the roof of the case. 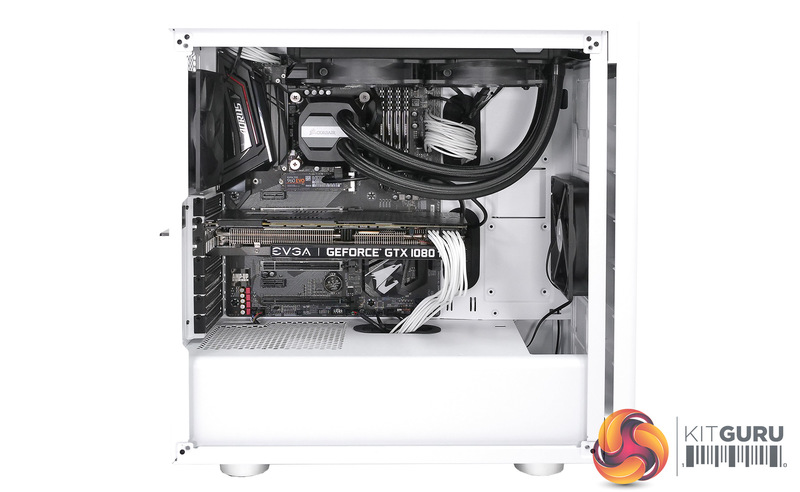 Corsair specifies the need for low profile RAM in this configuration but even so it was a very close fit. The easier move was to install the cooler in the front of the case but we didn’t really want to remove the stock fan, and thus we persevered with installing the cooler up top. 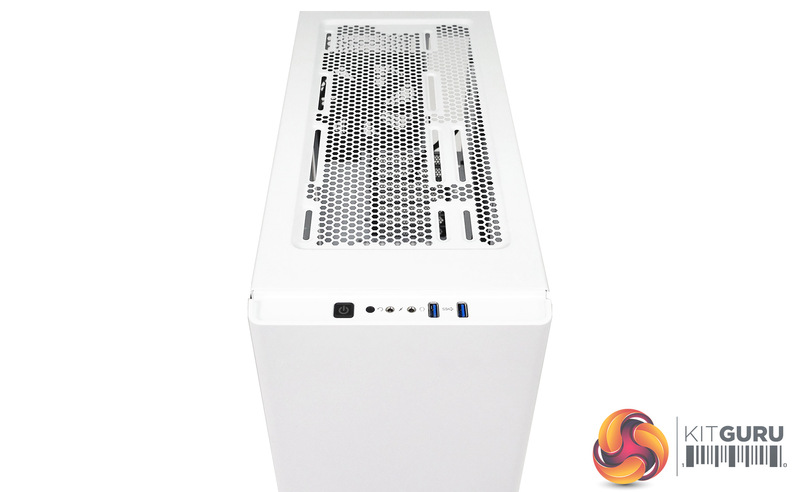 To put this case through its cooling paces we will be using a test system consisting of a Core i5-8400, EVGA GTX 1080 Ti and an SSD. 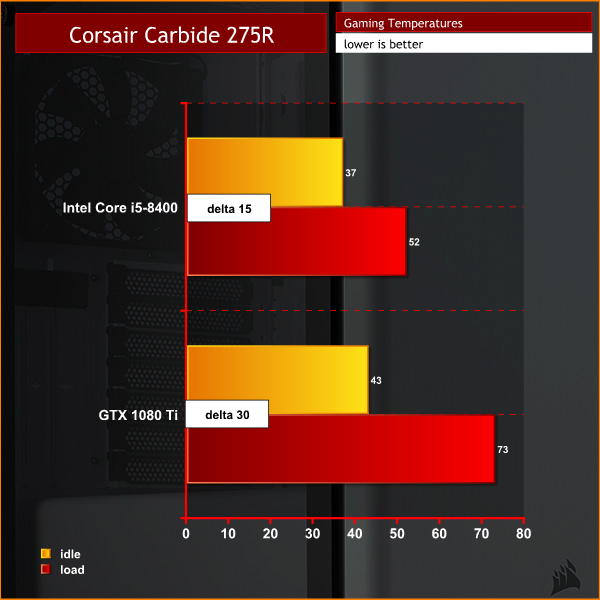 This system allows us to produce a substantial amount of heat and effectively test the Corsair Carbide 275R’s cooling capabilities. Temperatures were slightly higher than we would ideally like to see which suggests the intake of the case is restricted, but we had no major complaints. 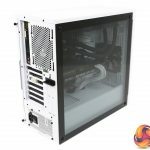 The case works well and we doubt many people will install a high end CPU and GPU combo in this budget chassis, so overall we have no concerns. 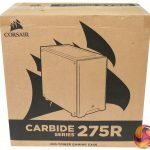 The Corsair Carbide 275R has nothing in the way of features to reduce noise levels so we were pleased to see (and hear) that leaving the Corsair H100i v2 on its ‘standard’ profile worked well and was very quiet. 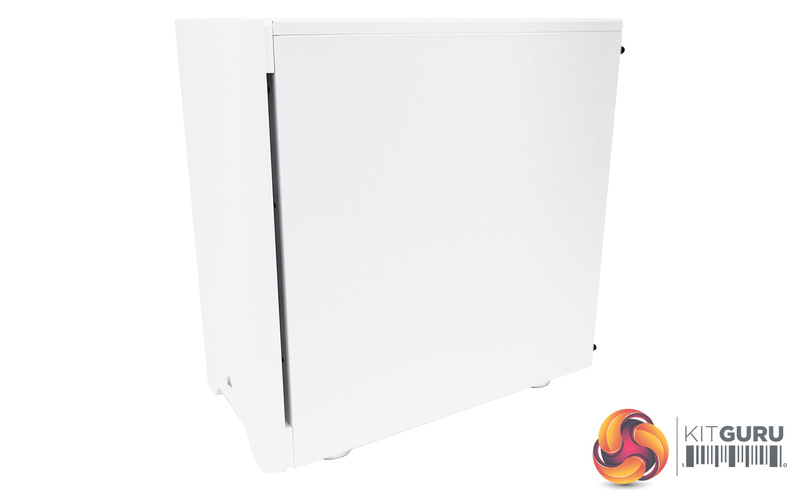 If you use a cooler that works less successfully we can easily imagine the Carbide 275R might get rather noisy. 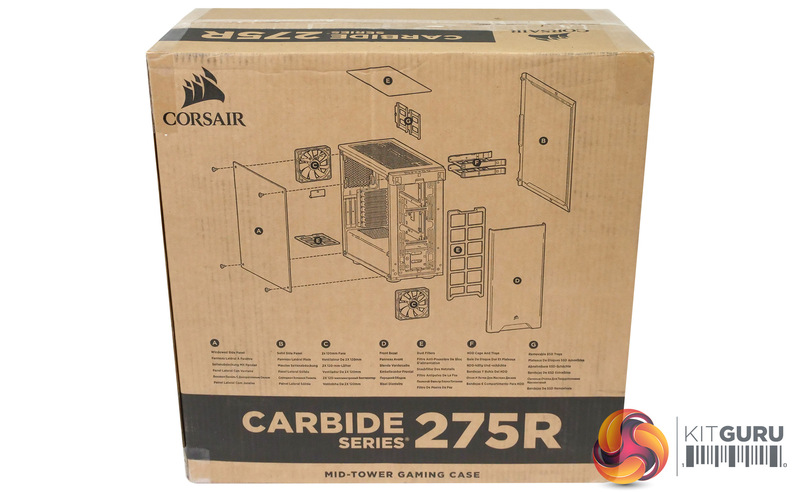 We like the look of the Corsair Carbide 275R but cannot understand why anyone felt the world needed yet another compact mid-tower ATX case in a market that is already packed with similar models. 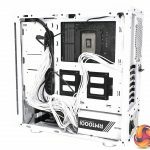 It is tight for space on the inside, and while we doubt you will have much difficulty with your build it is likely to take a while longer than you might otherwise hope. 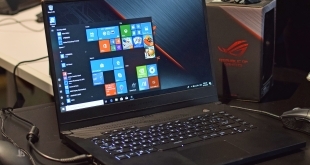 The lack of any novel or compelling features makes the Carbide 275R a tough sell as it is simply impossible to get excited about two USB 3.0 ports or a short strip of white LEDs. 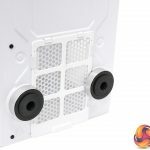 The way that Corsair has secured the glass panel with four cap head screws is both unnecessary and annoying, and appears to be a cost-cutting measure. 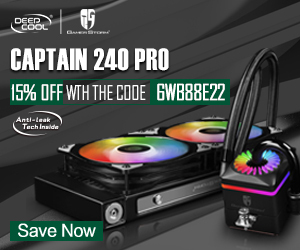 That leads us to our other gripe about the Carbide 275R which is that the price seems quite high. 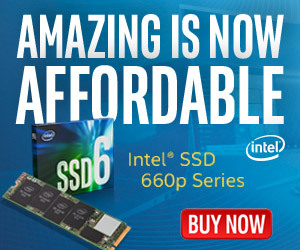 It’s not completely wallet-crushing but you are certainly paying for that Corsair logo. 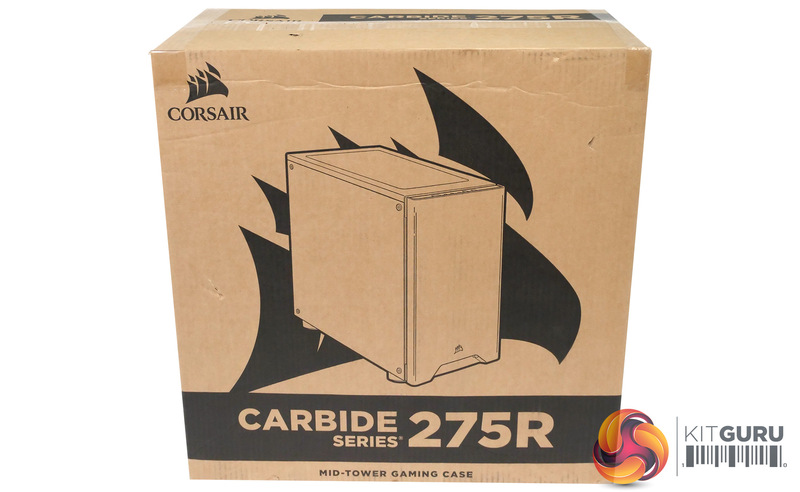 On the bright side, the Carbide 275R looks smart, works well and is built to a decent standard. It just doesn’t offer anything new, and in this cut-throat market, it doesn’t stand out. 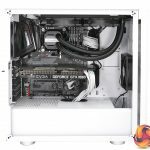 You can pre-order the 275R for £79.99 from Overclockers UK HERE. Discuss on our Facebook page HERE. Good support for fans and radiators. I/O panel is fixed to the core chassis. Tight for space above the motherboard. 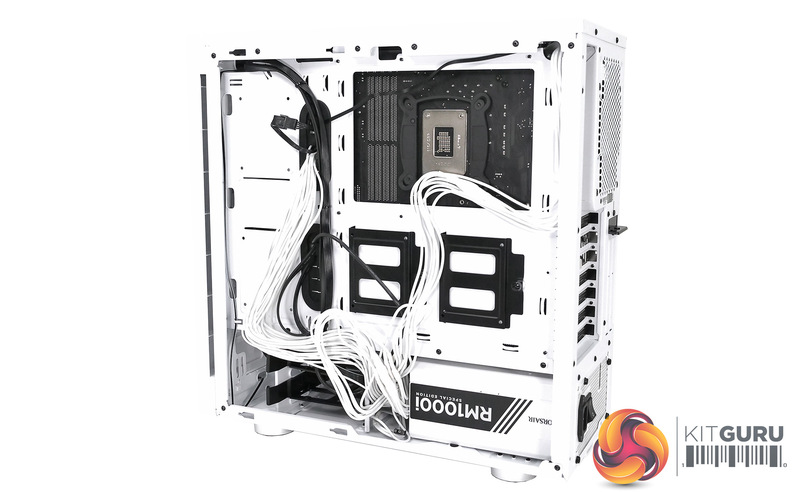 Very little room for PSU cables. There is no noise deadening material. 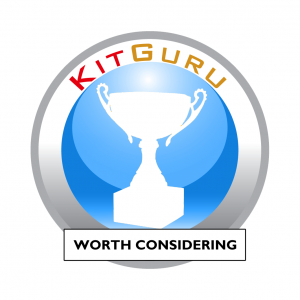 KitGuru says: Corsair Carbide 275R is far too expensive to threaten the competition.